Durga Puja or Sharod Utsav is an annual Hindu festival in South Asia that celebrates worship of the Hindu goddess Durga. This Durga Pujo Special Bengali Agomoni Songs Sung By Arijit Singh, Subhamita, Abhijit, Nakash Aziz, Antara Mitra And Many Others Artist. 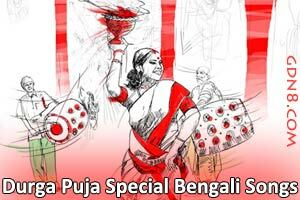 Durga Puja Special Mp3, Video, Songs With Lyrics.